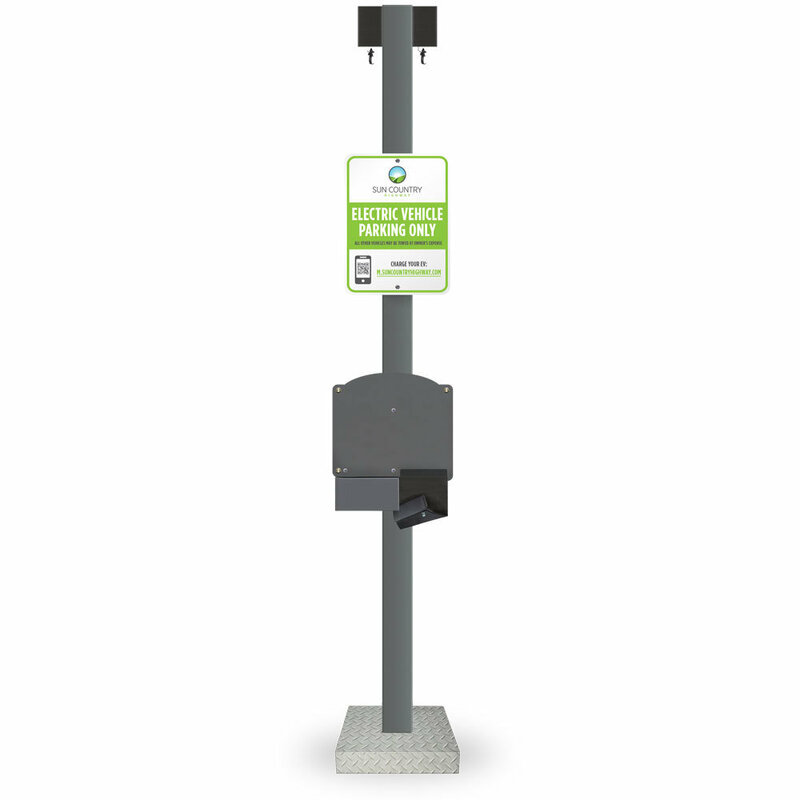 Increase accessibility to your EV Chargers in a busy lot, with the All-In-One Double Pedestal System. The industry leading retractable cable functionality helps to keep charging cords at bay, reducing the risk for trips and falls, promoting accessibility, and reducing insurance claims or liability. The All-In-One Pedestal system not only helps Charger users, it also protects the cables against damage and harm. Constructed from sturdy, light weight 4" X 4" aluminum, the pedestal is able to withstand all weather conditions. System includes; extended pedestal with aluminum base with dual charger mount, integrated retractable cable system and FREE Electric Vehicle Parking Sign. *EV Chargers sold separately.